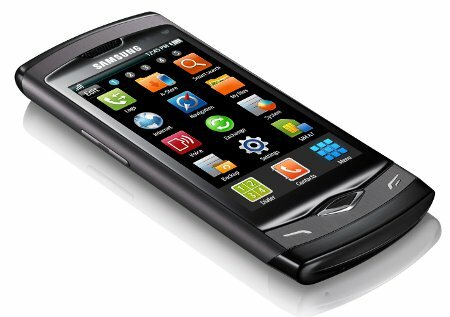 In the mobile phone industry, Samsung is quite well known for its Galaxy line of Android smartphones. However, Samsung also has its own mobile operating system called Bada OS. Samsung sells smartphones running Bada in Europe and Asia only. So, phones running the operating system is not as well known as those running Android. According to a report from the Wall Street Journal, Samsung is planning to open source its Bada OS by next year. Opening up the source code of Bada OS is not a totally unexpected move from Samsung in light of the recent announcement of Google's plan for the acquisition of Motorola Mobility. After announcement of the Motorola acquisition, there has been concerns that Google might inadvertently give preference to Motorola regarding the Android platform. Having another strong platform on the side makes for a good contingency plan for the Android phone manufacturers, in case things do not turn out as well as expected because of the Google-Motorola deal. Samsung is a very strong hardware company but software has never been its strong point. They introduced the Bada OS in 2009 and currently, the OS is used in Samsung's low-end smartphones. By releasing Bada as open source, Samsung stands to gain a lot from developers everywhere if they play it right. As Nokia has demonstrated with Symbian, opening up the source code will not be enough to make Bada a success. A question that will come up is if there is room for one more mobile phone OS. Right now Android is the dominant OS followed closely by iOS. RIM's BlackBerry OS and Microsoft's Windows Phone 7 comes at a distant third and fourth. Other OSs such as WebOS, MeeGo etc. has been disappointing so far. Will Samsung be able to make Bada a successful OS by opening it up to third part developers? We can only wait and watch.